Odin 04 Petrana is one of those “purple florals” that really makes me think of the color purple too. And it has all sorts of purple florals: violets, heliotrope, iris. It even has purple berries to add to the purple-ness of this perfume. Petrana opens immediately with violet. It’s not a barbershop violet leaf, but instead it’s the actual petals of violet. It wears a velvety floral violet. In addition, there is a juicy, ambrosia-like cassis (blackcurrant) with a dry, spicy (and metallic) coriander. I’ve always thought of Petrana as a fruity-floral marketed to dudes. It’s like this fruity-floral in an amber bottle sold by a hip men’s clothing line. The cassis remains in the heart but there’s an unexpected addition of heliotrope which comes across like cherries. These fruits work so well with the dry spices. It eventually becomes a gorgeous violet-iris with the sort of modern musk (like that in Heeley Hippie Rose) that I love. It eventually fades into a sweet amber with musk. 04 Petrana is a perfume inspired by the deserts of Jordan, which is an association I would have never picked up on my own. It reminds me of damp spring florals and crème de cassis. For me, it’s like a French café in spring. It’s actually one that has been on my to-buy list for ages. I like how it’s like some sort of hipster fruity-floral…or a fruity-floral that is in denial. Give 04 Petrana a try if you like violets or fruity-florals. Or perfumes like Byredo Mojave Ghost, Heeley Iris de Nuit, Odori Iris, Armani Nuances, Caron Aimez-Moi and/or DSQUARED² She Wood. The 3.4 oz retails for $165 at Luckyscent. Samples are also available for purchase. Victoria’s Final EauPINION – Cassis violets. I sort of think of this as Caron Aimez-Moi with a beard wearing flannel and raw denim. That thought alone makes me laugh, but that’s also why I like wearing this fragrance so much. Anyway, I should buy a bottle of it. I like how it wears on me and something about cassis and violets makes me happy. *Sample obtained by me. Product pic from Fragrantica. 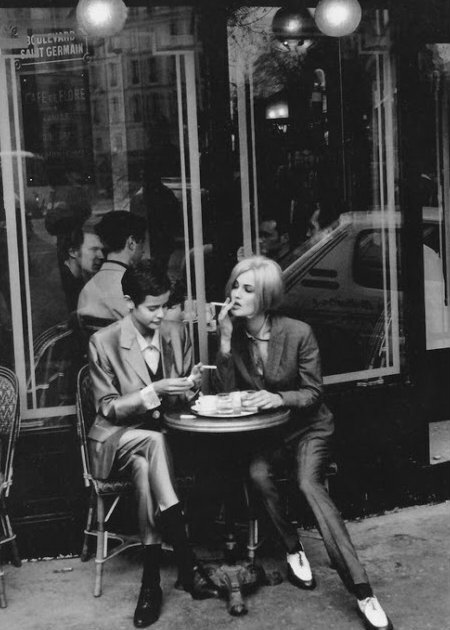 Karen Mulder and Nadège du Bospertus pic from Vogue Italia 1991. I love purple florals week. In Seattle we had a couple gloriously sunny spring days and today it’s back to being dark and raining. 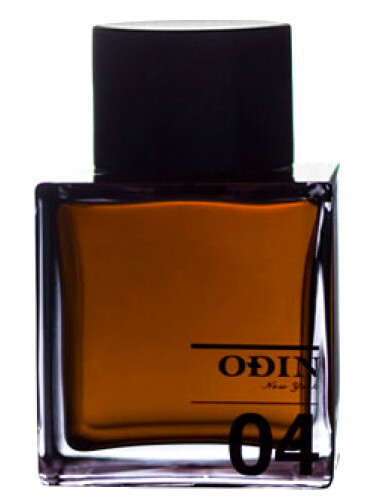 This perfume sounds like it would be perfect for today… moody, cool, and spring like. Yay! I abandoned NYC area for South Carolina this week. Apparently there was a foot of snow while I was gone. The South Carolina coast had some sunny days and a lot of purple florals (wisteria everywhere). It really is! I wish I had bought a bottle of this when I was in Seattle. It was so perfect and I loved how it wears in humidity. It’s a floral but still dark/moody…seriously so great for those balmier, gloomier days. I’ve never tried this one or much of the Odin Iike really, but it sounds really nice. Luckyscent actually has this on sale right now, so it would be a good time to satisfy your bottle craving. Thanks for the headsup! I’m soooo tempted. that’s a great price.